This past summer, my family and I stayed at the Spirit Ridge accommodations located at the NK’MIP resort. 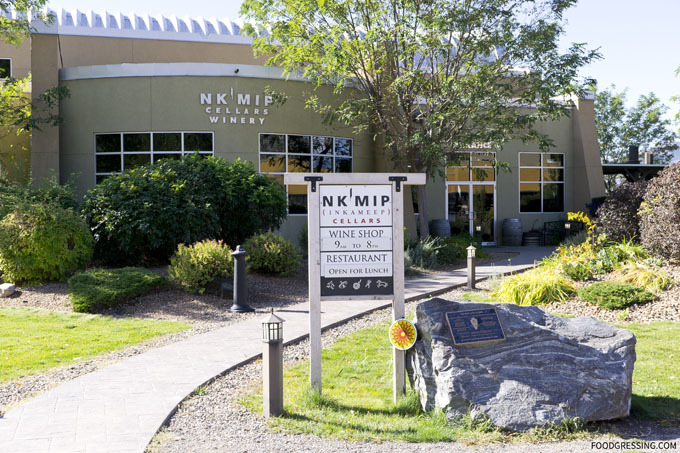 The on-site winery is Nk’Mip Cellars, the first Aboriginal-owned and operated winery in North America. 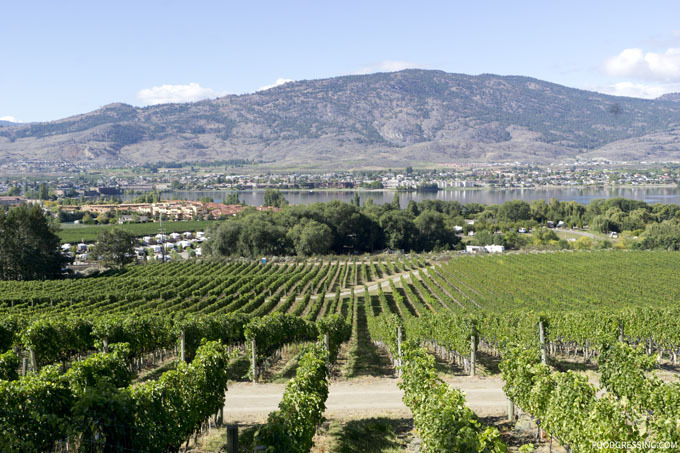 Nk’Mip Cellars was just recently named Canadian Winery of the Year by Vines Magazine. On the trip, I decided to try out their patio restaurant which serves North American cuisine using traditional Aboriginal techniques. First thing to note is that it’s all about al fresco dining. 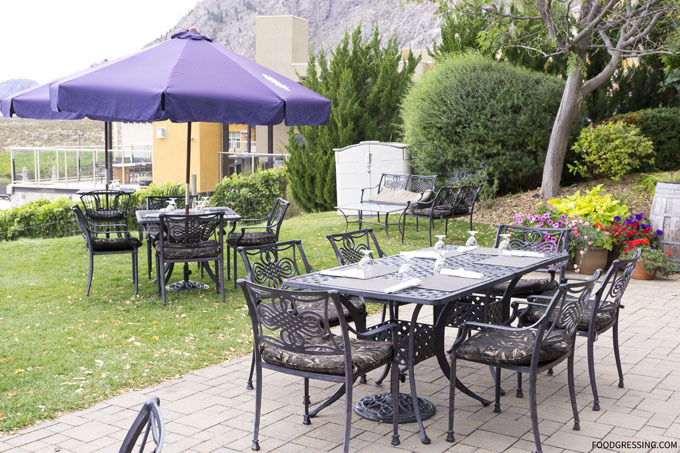 Nothing like dining outdoors with picturesque views of the vineyards below and Osoyoos Lake. On the day of my visit, it wasn’t particularly sunny but they do have patio umbrellas available. They have dining tables of different sizes as well as lounge seating. I went for lunch right after they opened at 11:30 am and got my seat right near the edge for the best view. Beautiful view, isn’t it? The restaurant also played a very calm and beautiful flute-centric background music which enhanced the ambiance. I went with a glass of the rosé to start. For my main, I had a salmon with berry salsa and hazelnut butter with house-baked bannock. The salmon was wonderfully moist and tender. 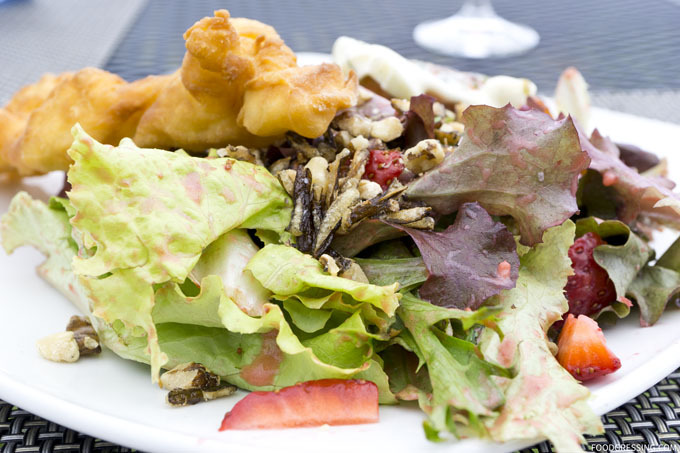 The salad had a nice mix of fruitiness and nuttiness from the strawberries and hazelnut butter. The standout of the meal was the house-baked bannock. It was amazingly crispy and golden brown on the outside but light and fluffy on the inside. Service was on solid. My glass was refilled regularly and the servers seemed friendly. 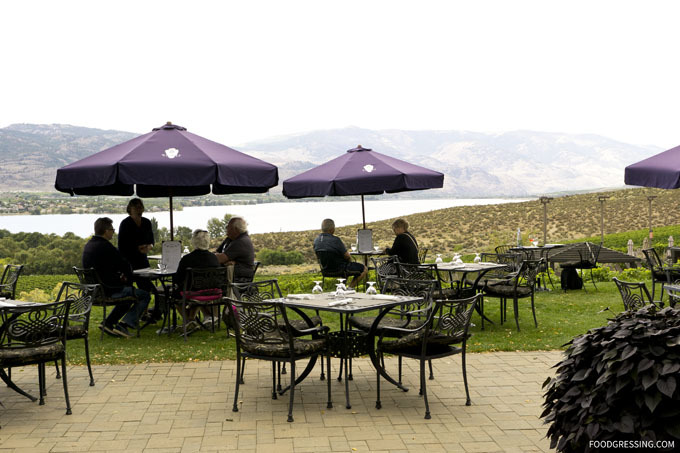 If you’re visiting the Okanagan Valley, there is a roadside stop worth making between Osoyoos and Penticton. 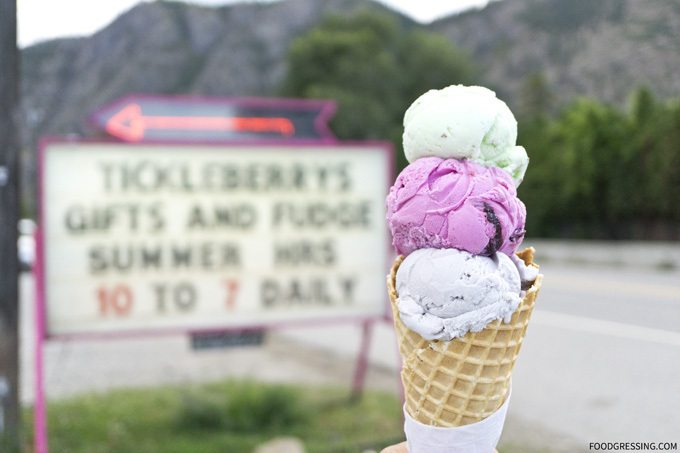 Located on Highway 97 just south of Okanagan Falls, Tickleberry’s has been around for nearly 30 years and is an ice cream lover’s dream come true. 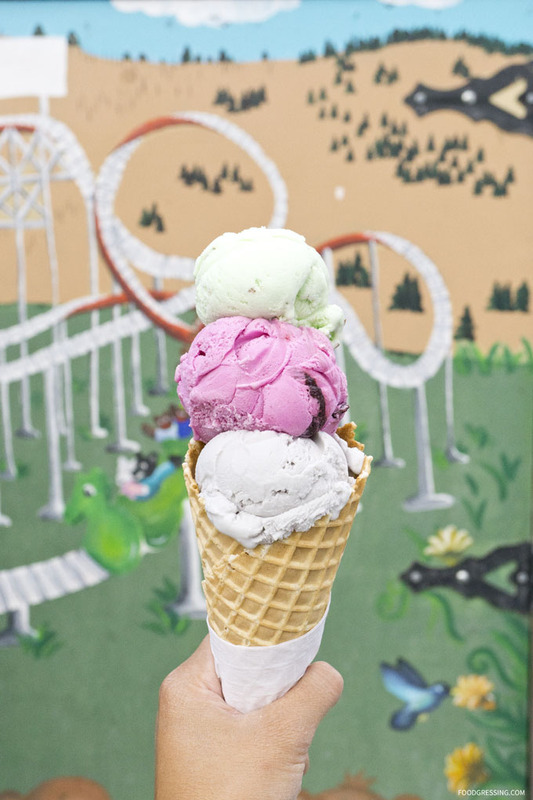 They serve more than fifty flavours of ice cream and make their own chocolates, fudge, and even kettle korn. 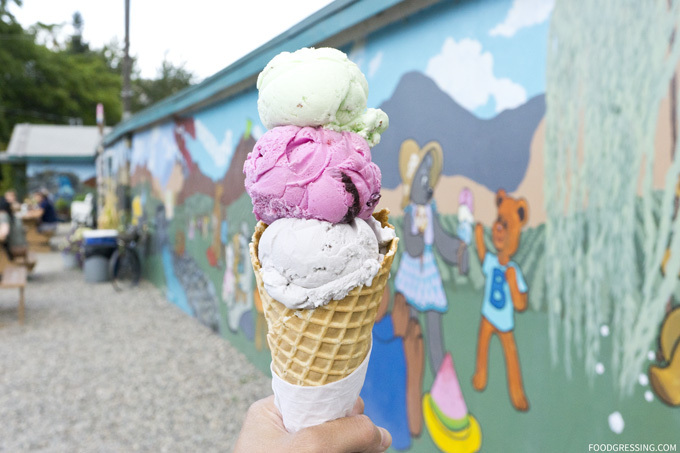 When my family and I were on a roadtrip around the Okanagan this past fall, we stopped by Tickleberry’s twice to indulge in their ice cream. 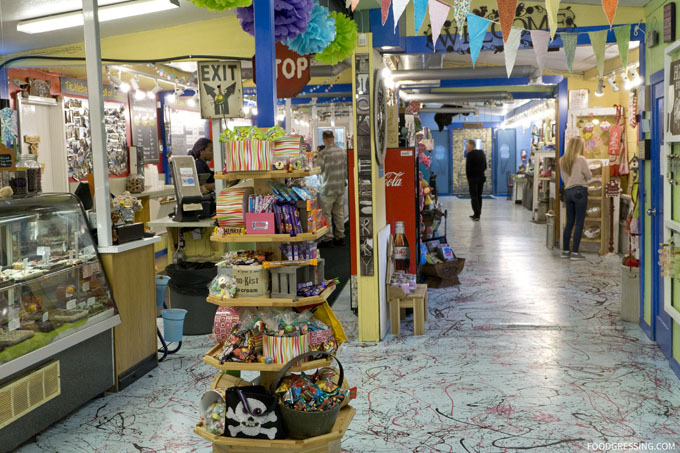 Walking into the shop, there was a sense of nostalgia of what it felt like as a child to enter an ice cream parlour. The number of flavours on the menu is mind-boggling and can be a nightmare for the indecisive. There are some retro childhood ice cream flavours like Worms in Dirt, Peanut Butter Binge, and Bubble Gum. 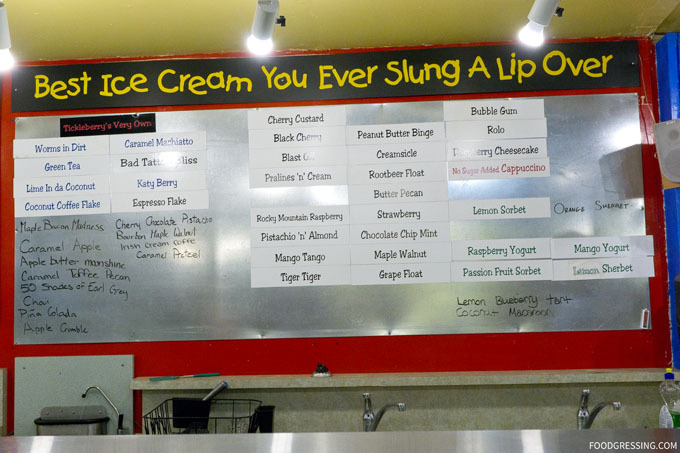 Tickleberry’s is the kind of place where it’s almost impossible to go with just one flavour and they have a wide range of sizes to allow you mix-and-match. It was also refreshing to me to be in an ice cream shop where they use actual nuts in their ice cream like Pistachio n’ Almond, Peanut Butter Binge, Butter Pecan, Pralines ‘n’ Cream and Cherry Chocolate Pistachio. I had been used to places in Vancouver that served nut-free ice cream. As someone who doesn’t have a nut allergy, I gladly welcomed some nutty ice creams for once. Tickleberry’s size options are not what I would consider normal. 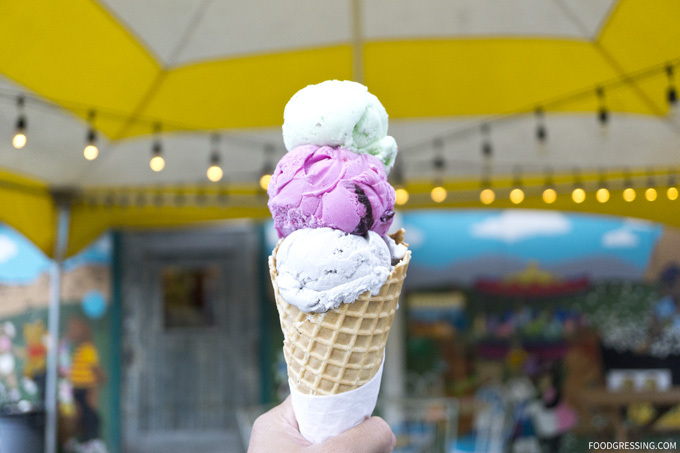 Customers can enjoy a child’s ($4.50) cone that comes with two scoops already. 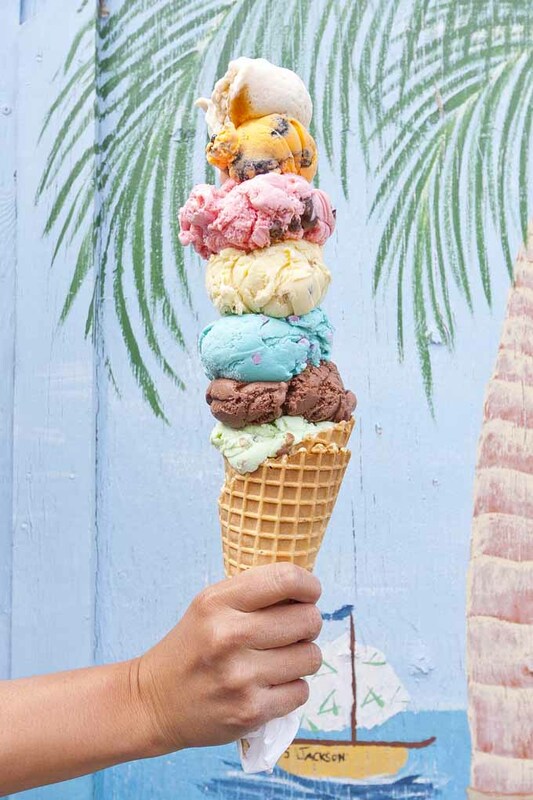 A single ($5.00) has three scoops and a double ($6.00) scoops. But for those that are true ice cream lovers, you might want to just the large size which has a whopping 7 scoops (more on that later). The price per scoop is so good; I obviously I have been paying a premium in Vancouver. 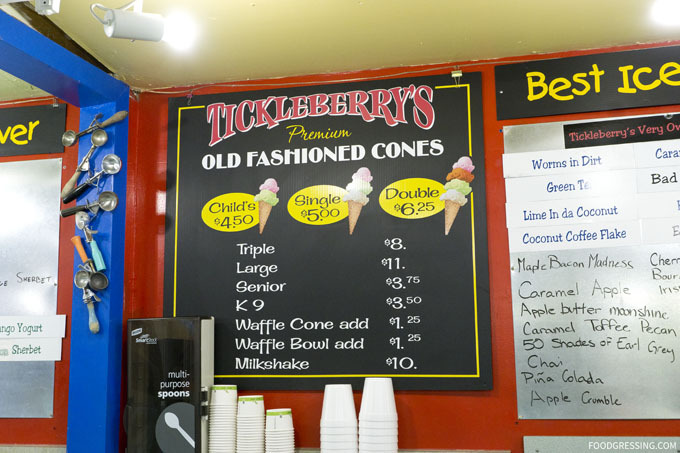 On our first visit to Tickleberry’s, I went with a humble double scoop ($6.25) in a waffle cone ($1.25) which had three scoops: Fifty Shades of Earl Grey, Black Cherry, and Pistachio n’ Almond. The Fifty Shades of Earl Grey had a good tea flavour and I very much enjoyed the incorporation of frozen cherries into the Black Cherry flavour. I loved the Pistachio ‘n’ Almond which was light but still nutty. The textures were on point: smooth, silky and creamy. Our second visit, I decided to go with large. Go big or go home, right? This monstrous ice cream beauty had 7 scoops of ice cream ($11) and two waffle cones ($1.25): Peanut Butter Binge, Bubble Gum, Butter Pecan, Tiger Tiger, Cherry Chocolate, Chocolate, and Pistachio ‘n’ Almond. They didn’t charge me for the extra waffle cone which was nice. The key to this creation is to go with ice creams that have a more solid texture so that they stack up well. 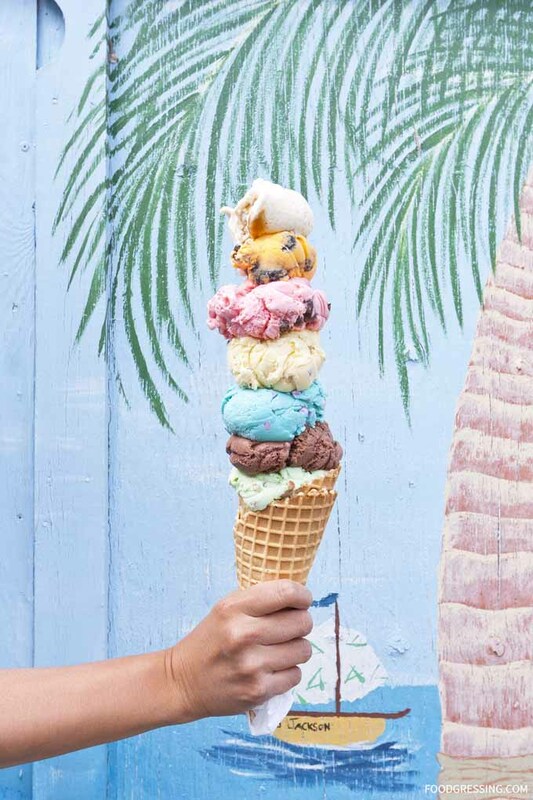 If you get softer ice creams, it will likely all fall down. I quite enjoyed the Peanut Butter Binge which really had an very tasty peanut butter flavour. Second to that would the Tiger Tiger which was an orange-flavoured ice cream with chocolate. 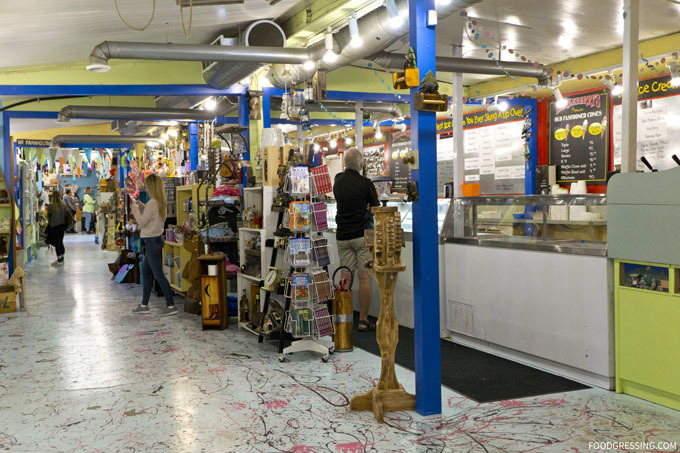 And while you’re at Tickleberry’s, look around their gift shop. They sell a range of local crafts, windchimes, jewellry, hand bags, and souvenirs (like magnets, postcards, t-shirts). 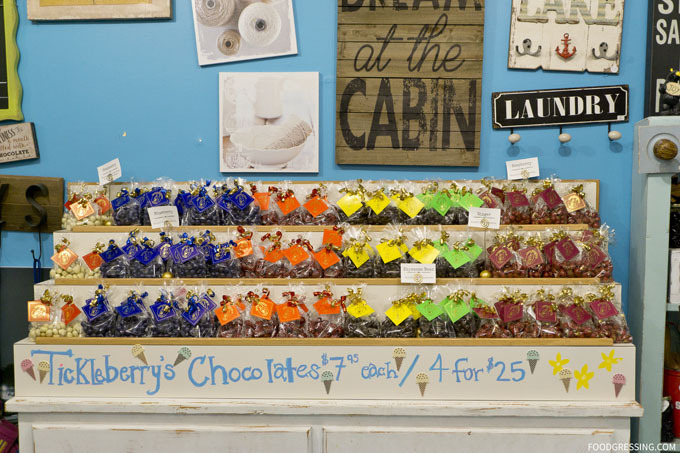 They also have a variety of chocolate flavours for sale like chocolate covered ginger candy, dark chocolate cherries and more. 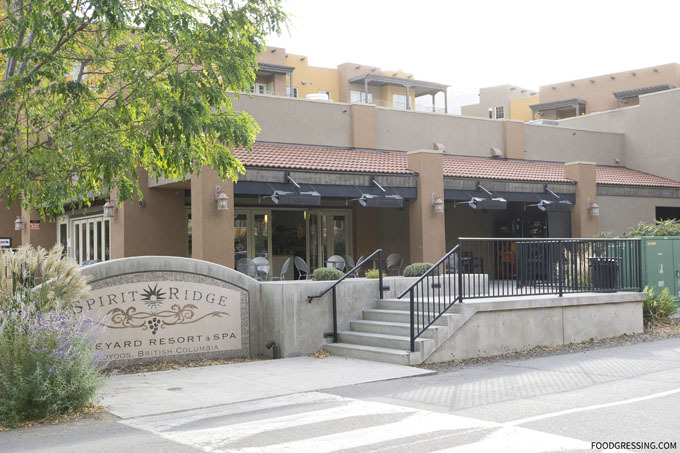 When my family and I visited Osoyoos a few months ago, we stayed at Spirit Ridge at the Nk’Mip Resort. One of the more casual eateries on site was the Market which served breakfast and lunch items. 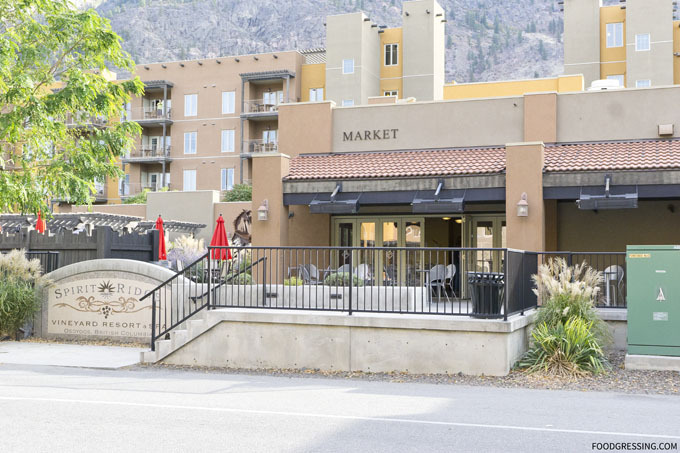 The Market is basically a cafe where you can eat-in or grab and go. There have seating inside the cafe and on the patio. You might want to even go to one of the tables around the pool which is close by. 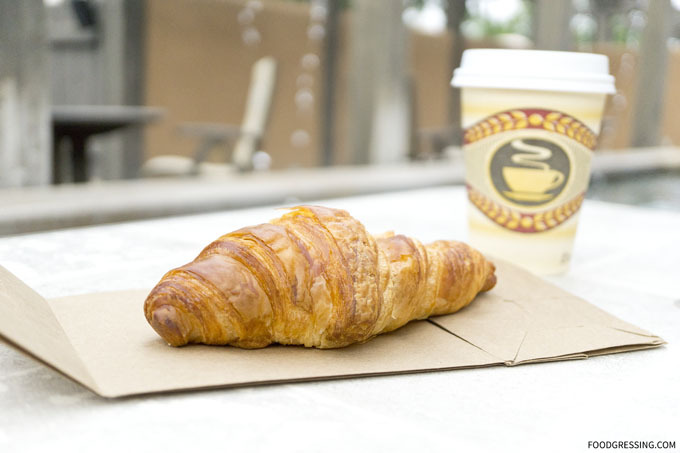 On the menu are breakfast wraps, baked goods, frozen treats and espresso-based drinks. Coffee is by Spirit Bear Coffee company. You can also order from the resort restaurant, Mica, and pick up the food at The Market. I was able to find a copy of their menu online. Aside from coffee, they also serve cocktails, beer, wine and soft drinks. This makes sense as the cafe is located very close to the pool so pool goers can get drinks from here. 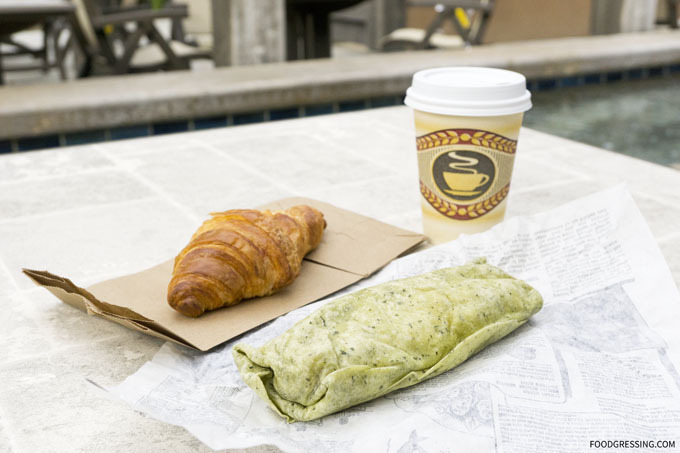 For breakfast one day, I went with a regular drip coffee ($3.50), breakfast wrap ($7.00), and a croissant ($3.25). The breakfast wrap was average and had scrambled eggs, roasted red peppers, herbs and aged cheddar. A little pricey for $7 but that is expected at a resort. 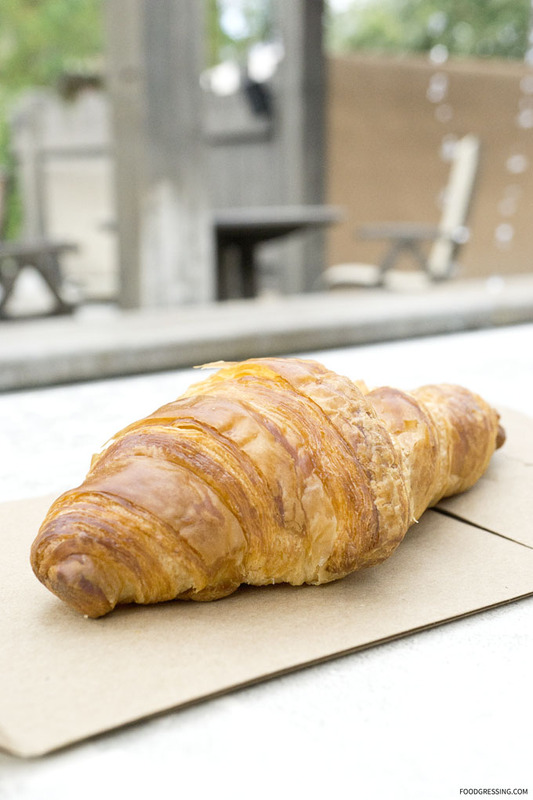 The croissant was also average and was reasonably buttery and flaky. I’m not sure that they bake these on-site. They’re likey brought in from a local supplier. 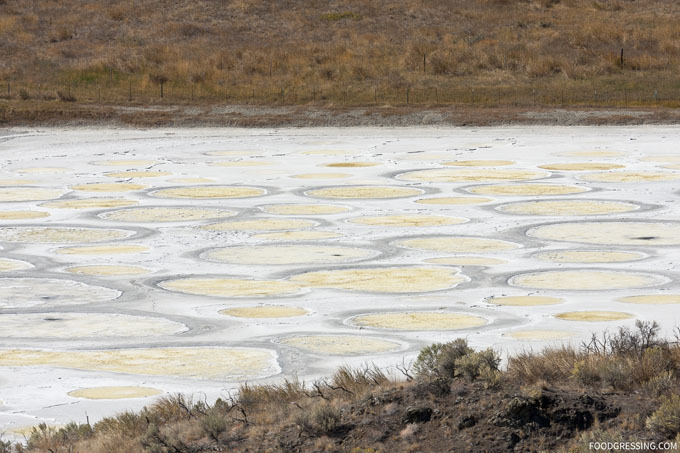 One of the interesting yet hidden things to see near Osoyoos, BC is the Spotted Lake. The lake is naturally formed and is rich in mineral deposits including calcium, sodium sulphates and magnesium sulphate. 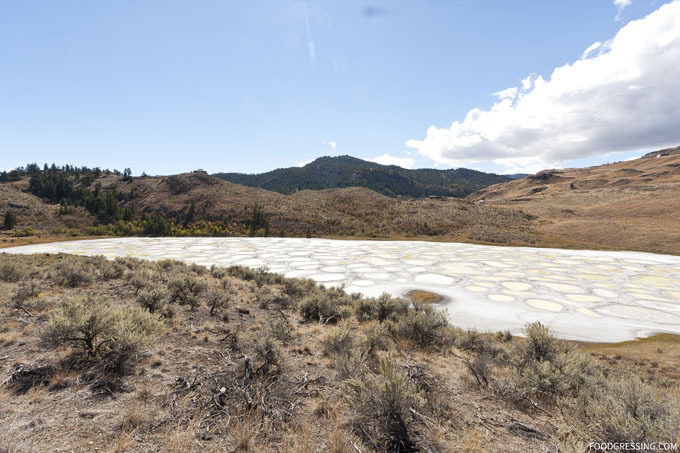 Spotted Lake is a bit of a roadside attraction being located along Highway 3, northwest of Osoyoos in the Eastern Similkameen Valley. You can’t go down to the actual lake as it is on private property but you can stop on the side of the highway for a look behind a fence. 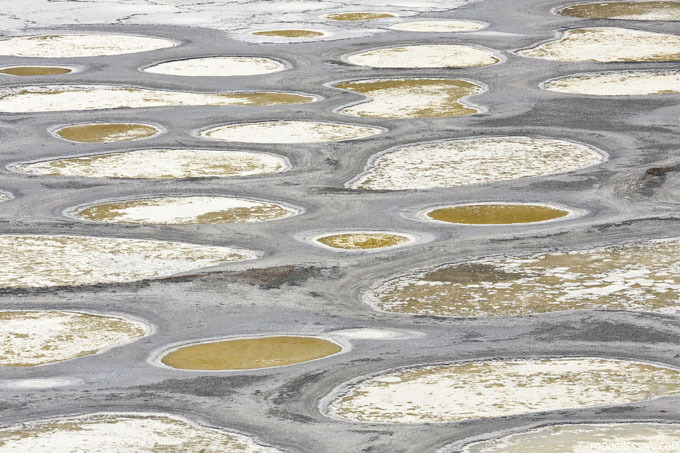 The mineral lake gains its spots from water in the lake evaporating away during the hot summer months. The concentrations of minerals that are left create these spots that are visible. 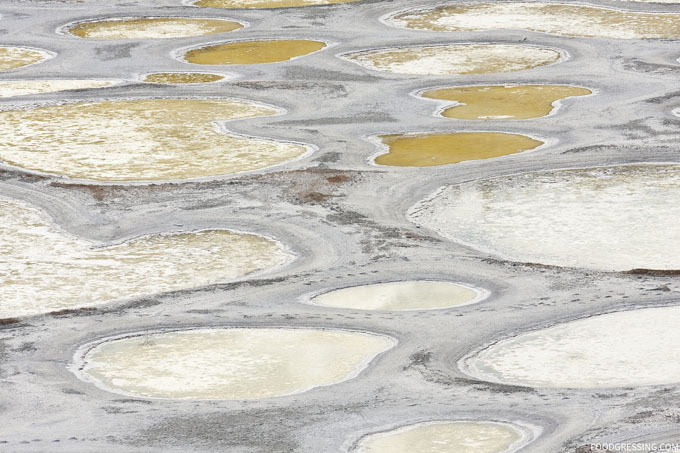 During the summer, the spots change in size and colour depending on the amount of evaporation. The colour is based on the mineral composition of the individual spots and can be range between blue, green and yellow. The spots consist of magnesium sulfate mainly, which crystallize in the summer and fill in the gaps between all the spots. 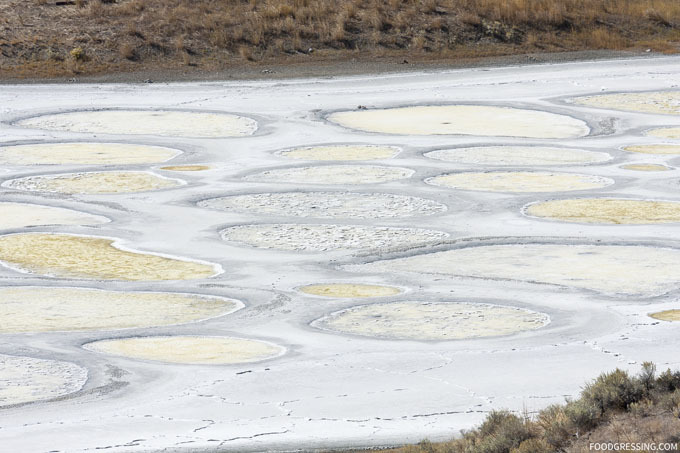 The Spotted Lake was first discovered by First Nations People in Osoyoos. It is recognized as a sacred site where each spot has its own medicinal and healing properties. In 2001, the federal government purchases the land where the lake is located to protect its historical value. 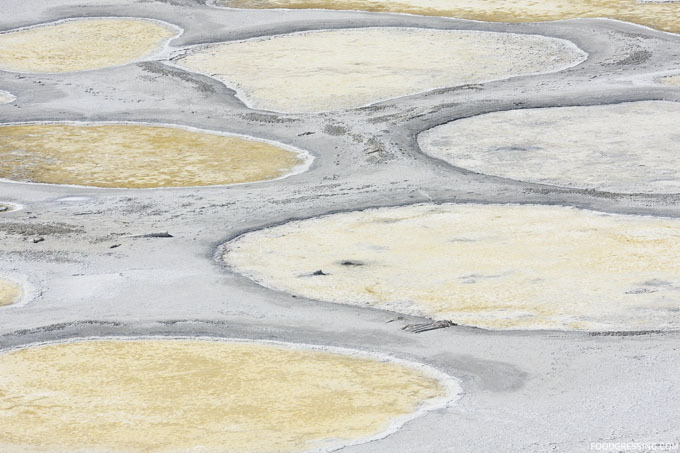 One interesting part of the lake’s history is that minerals from the lake were used to create ammunition during World War I. Chinese labourers withdrew up to one ton of salt from the surface of the lake each day. The salt was then shipped to munition factories in Eastern Canada. Looking at the lake, I felt a sense of the lake’s sacredness and appreciated its natural beauty. It was the same kind of feeling once when I visited Monument Valley in Arizona. 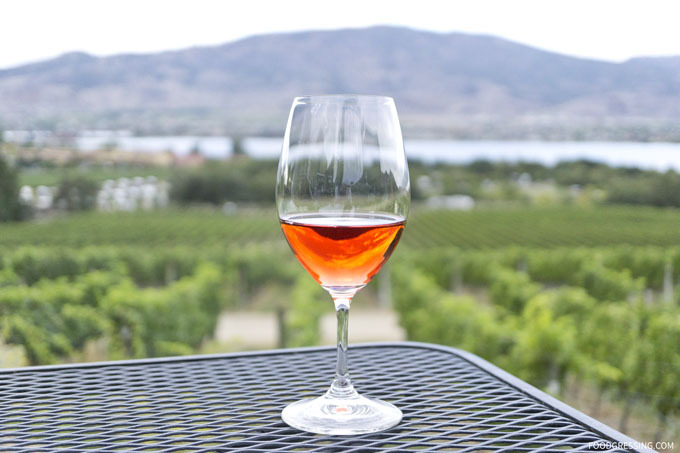 If you’re ever in Osoyoos, I recommend visiting this unique phenomenon. It’s a good reminder of how wondrous our world is. 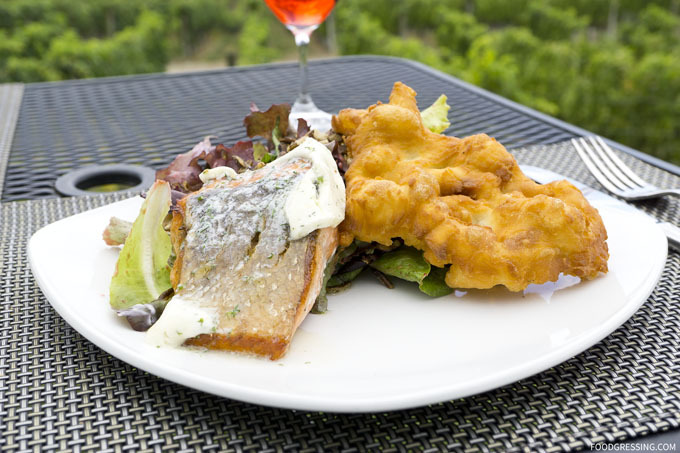 When I was researching places to eat in Osoyoos, Jojo’s Cafe came up on top on TripAdvisor. 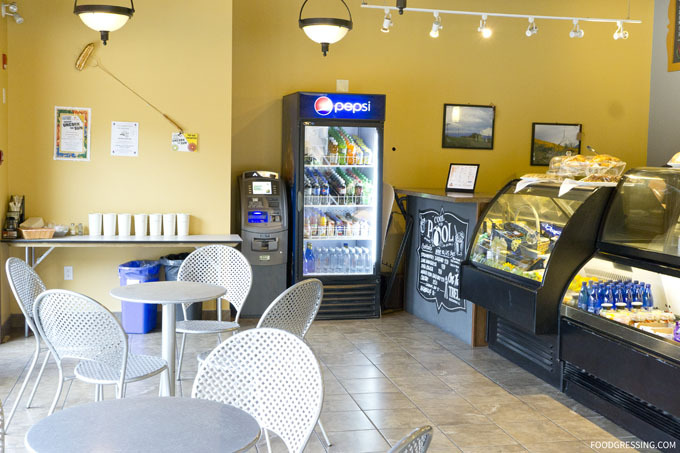 Jojo’s Cafe has been around since 2010 and is the area’s premier coffee bar. 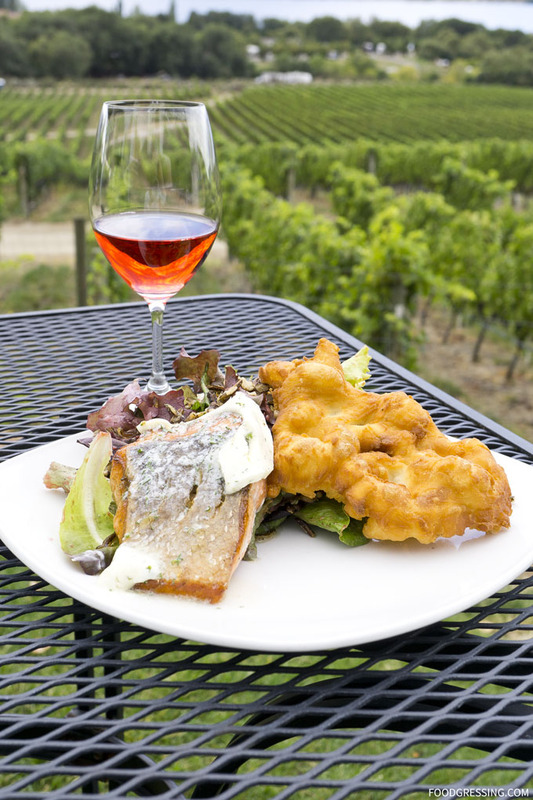 They offer breakfast and lunch service and uses local ingredients whenever possible. It’s the sort of place whether locals and tourists can go visit for some homemade, made-with-love kind of food. And so when I was visiting Osoyoos a few months ago, I made a breakfast stop at Jojo’s Cafe. 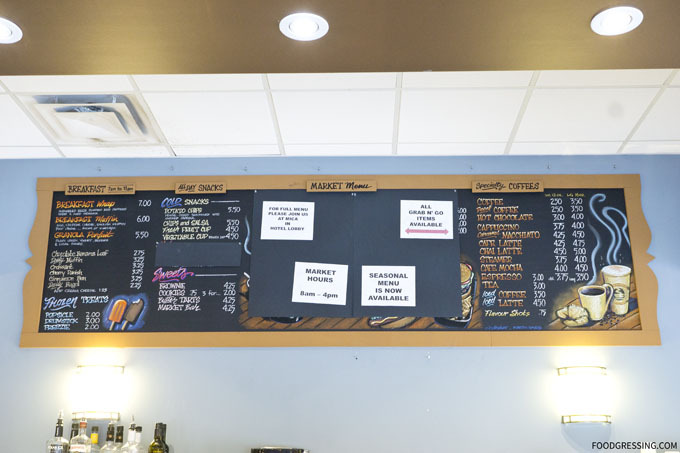 On the menu at Jojo’s are soups, sandwiches and baked goods. Based on my research, eggs benny seemed to be very popular with customers. 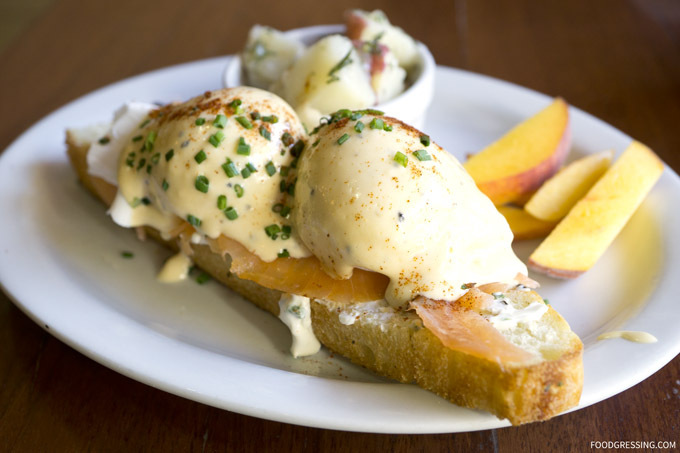 They offer a regular eggs benny and a smoked salmon eggs benny. 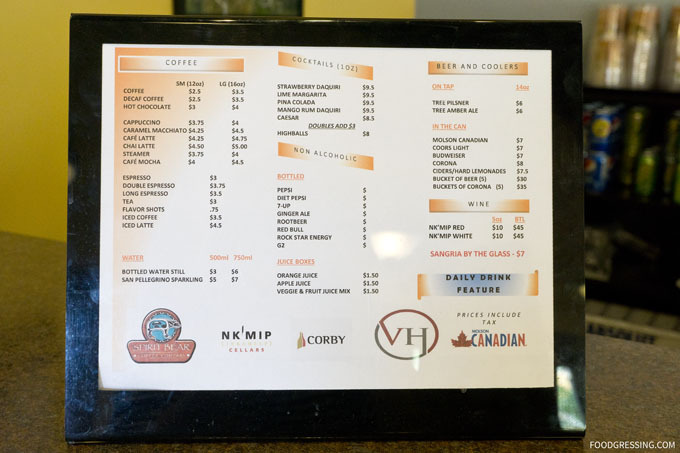 Jojo’s Cafe support other local businesses and their coffee is supplied by local coffee roasters. Their Dark Roast is by Rock Creek Trading Post and all other roasts are by Max Voets Coffee Roasting in Vernon. The menu is available online. 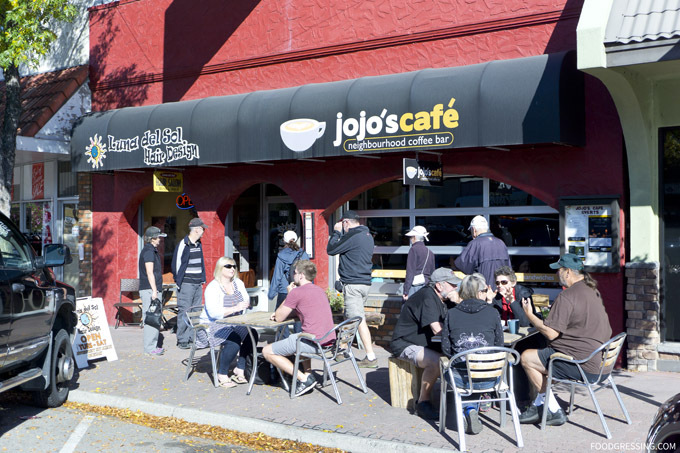 Jojo’s Cafe’s support for local businesses goes beyond food suppliers. In fact, they feature local art and artists as well as have a local musician and artist perform a free show once a month. When I visited the cafe, it was certainly busy with customers for breakfast. The atmosphere was energetic and had a good community sort-of-feel. I definitely felt like a local dining at the neighbourhood cafe. Parking is available in front and they food is good for dine-in or take-out. The interior had quite a few dining tables and counters, and they even have a few benches and tables outside. For breakfast, I had a salmon eggs benny ($9.59), a latte ($3.79) and a blueberry coffee cake. 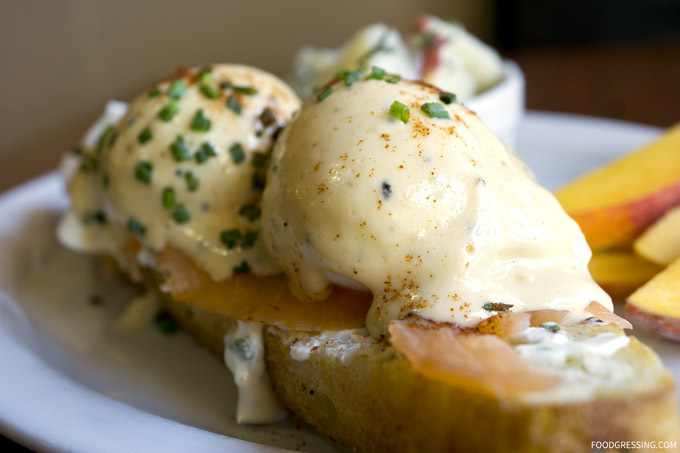 The salmon eggs benny was very tasty and had 2 poached eggs, smoked salmon and hollandaise on top of foccacia. The hollandaise sauce was nicely thick, rich, creamy and lemony. It also came with sides of potatoes and apple slices. 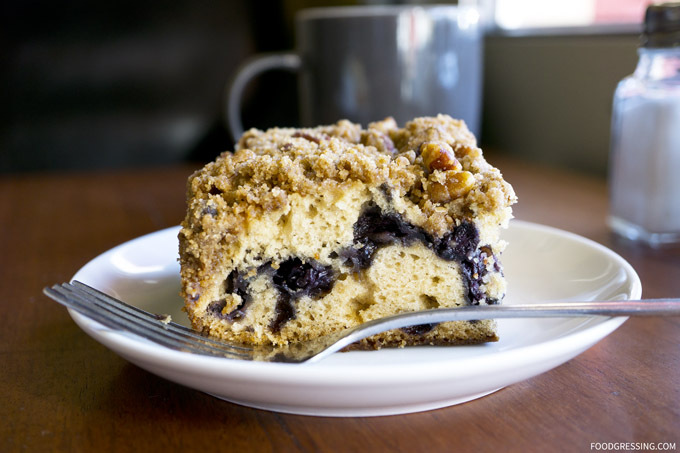 The blueberry coffee cake with crumble topping was also very memorable. Moist, fluffy, light and not too sweet. I thoroughly enjoyed the cake with my latte.